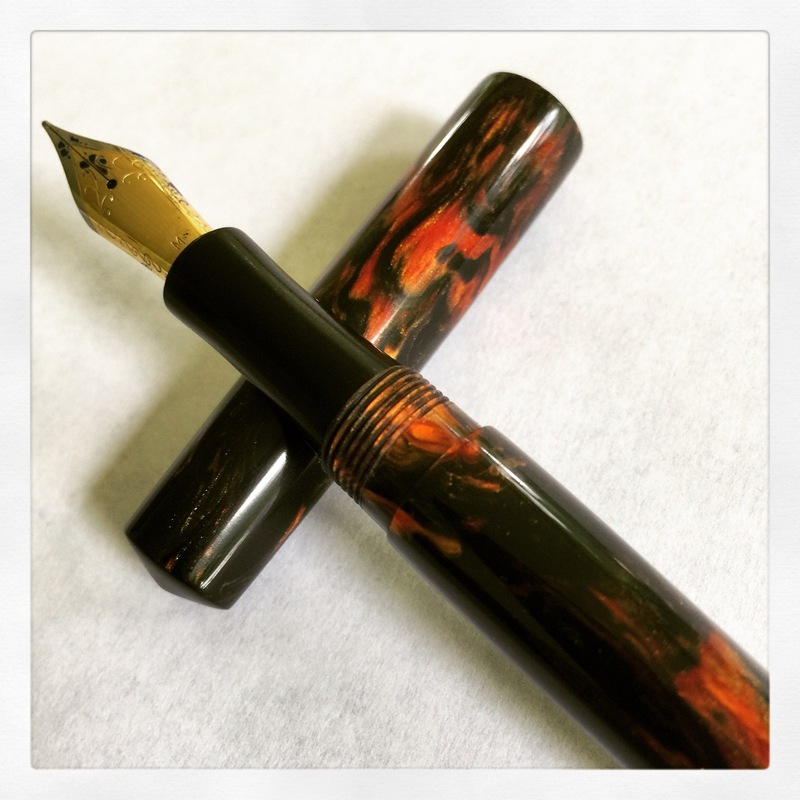 The night before heading from upstate NY to Tysons Corner, VA for the DC Pen Show, I filled a number of favorite pens, including this Edison Collier in Persimmon Swirl. If a mood could be described by a pen and ink combination, this is the surely the one that I’d choose to illustrate my emotions. 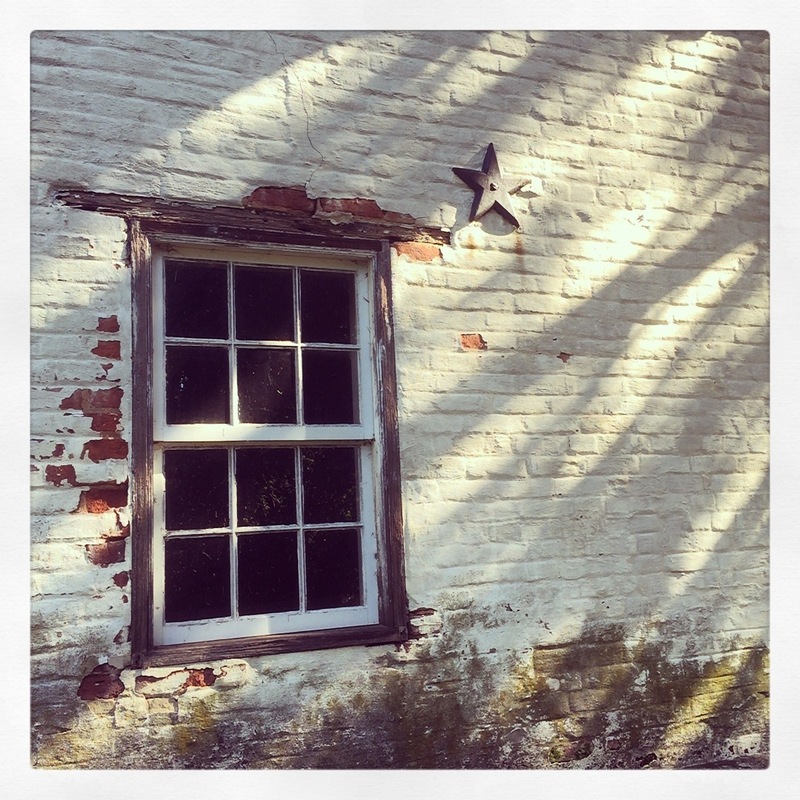 Oh, I felt bright and happy and my head was swirling with plans and pens for the days to come. 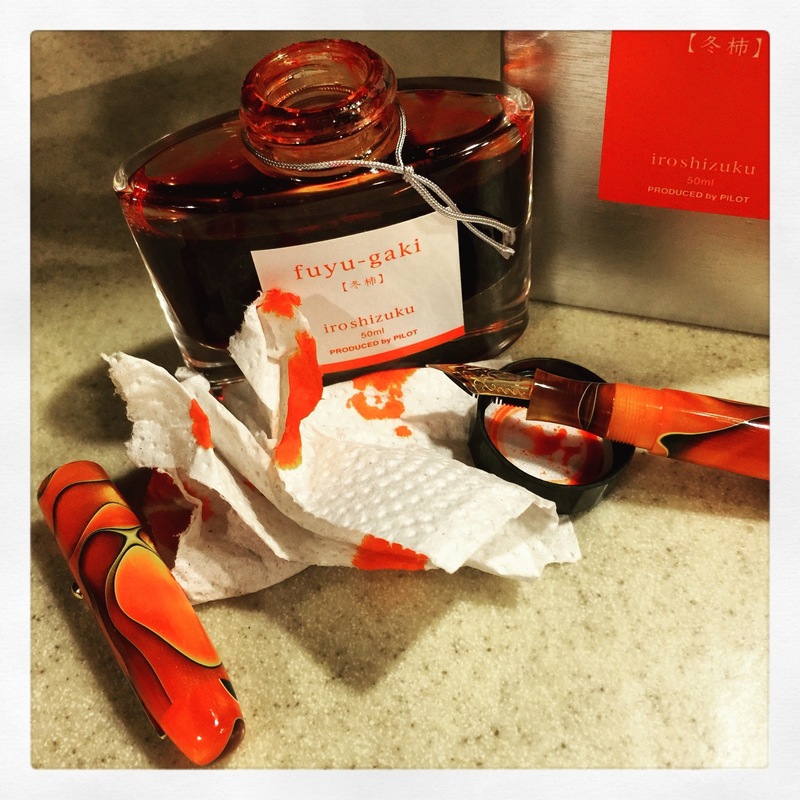 I was in a very fuyu-gaki state of mind! My pen pal, Paul Joynes of Gorgeous.INK, picked me up on Wednesday 8/12, on his way through from Ontario. Without Paul’s generous offer of a ride, I wouldn’t have made it to this year’s show, so I’m ever so grateful for his kindness and driving endurance. How he managed 13+ hours of driving in one day is beyond me. I handled the navigation, which went quite well, with only a hiccup or two. We talked about pens and plans and good ol’ life stuff the entire way. That travel day was a long but good one. We were on a quest! Fatigue be damned! By Thursday morning, I was rested (enough) and ready to get to the good stuff. 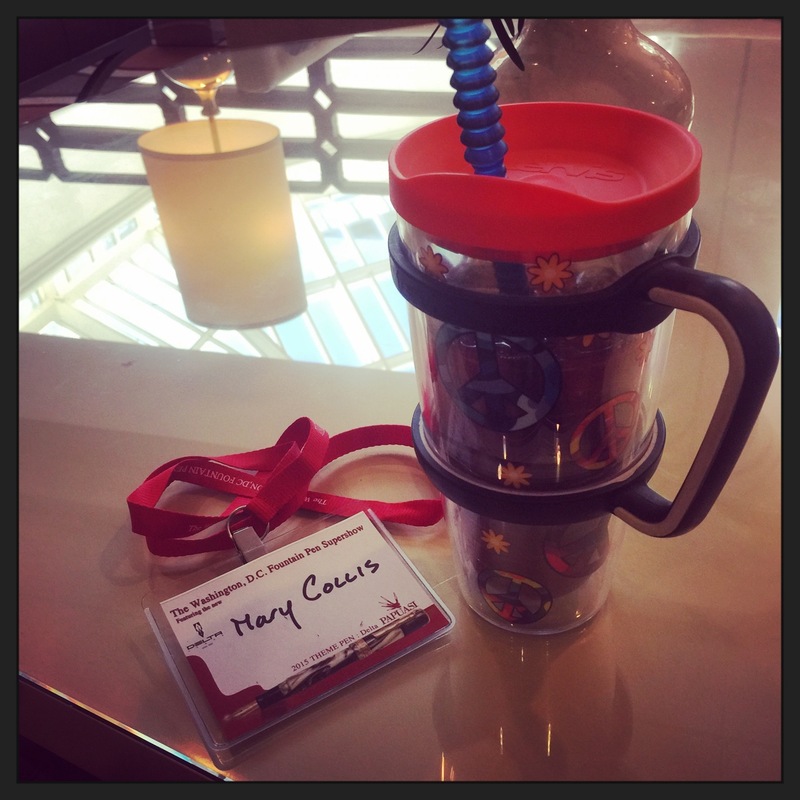 Armed with my Weekend Trader pass ($45 and well worth it), and some cobbled together iced coffee (Starbucks Via Instant Iced Coffee purchased from the WalMart next door), I browsed through the mostly vintage offerings of the vendors assembled in the hotel’s lobby. Thursday is a quiet day pen-wise—a tiny preview of the days to come. It’s a popular day to get to the show, as evidenced by the number of attendees and friends streaming in throughout the day. 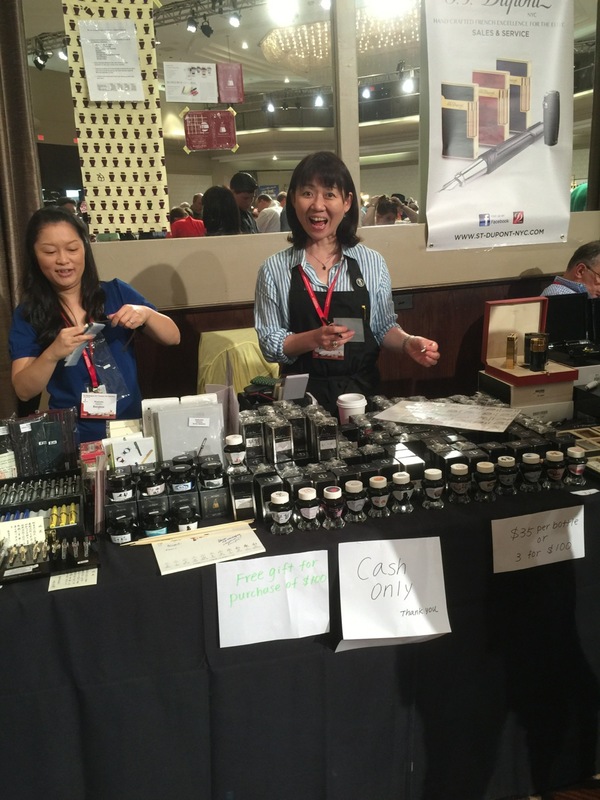 Though I spent some time checking out what the vendors had to offer, and ogling Sarj Minhas’s amazing selection of gorgeous vintage pens, I held onto my money that day. Just looking was fun, and there was still plenty of time for serious shopping. I spent of chunk of time on this leisurely Thursday at the famous (infamous?) ink testing table, also in the hotel’s lobby. I’ve never been to the show this early before, so I’ve never experienced this table before the inks have become jumbled and somewhat “muddy.” On Thursday, a couple of woman were doing their best to organize the inks, while also removing and systematically storing the caps. Why remove the caps? To prevent theft. Apparently full ink bottles have been known to disappear. Sheesh. 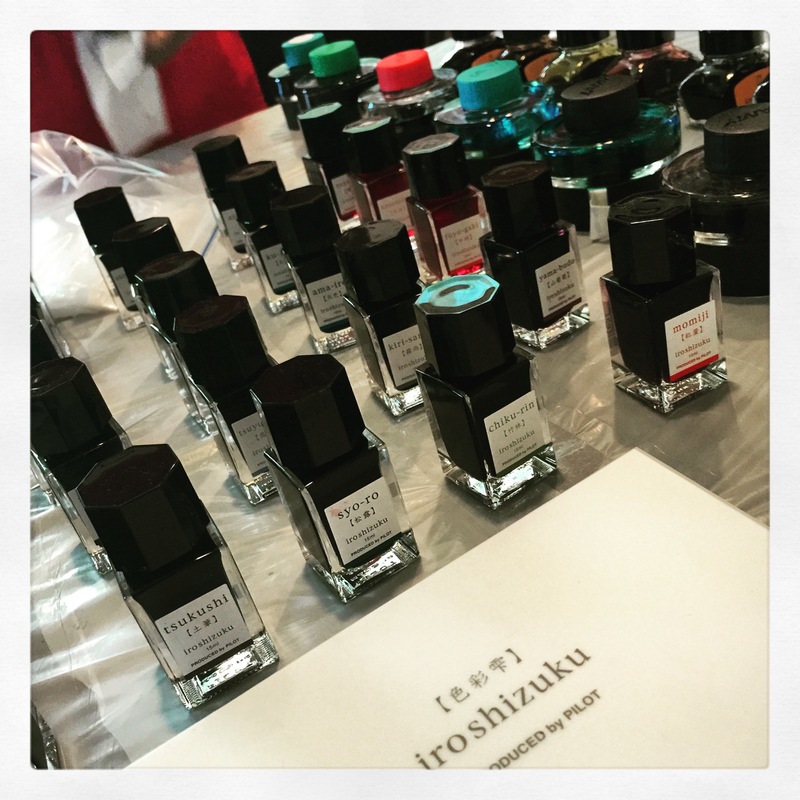 These adorable mini Iroshizuku bottles were fun to sample as the colors were still uncontaminated at this point in the show. The striking glass bottles hold 15 mL of ink and are as cute as kittens. I also spent Thursday taking plenty of walks. After Wednesday’s long day of travel, my legs were begging for exercise. Though the hotel is situated in what’s essentially a business park, there’s a townhouse development behind the hotel that gave me a good place to stretch my legs and get my daily step count up to an almost acceptable level. Tucked back in amongst the Ashgrove townhouses are a few historic buildings, including this smokehouse. Hotels are fun places, but it’s also a relief to get out of the air conditioning every once and awhile. Thursday evening, while hanging out in the bar area with old and new friends (SO FUN! ), I was introduced to Jonathon Brooks of The Carolina Pen Company, and his case of handmade pens. (Thank, you, Michelle, the enabler!) As I learned, not only does Jonathon make pens, but he also makes the material that he uses to make the pens. 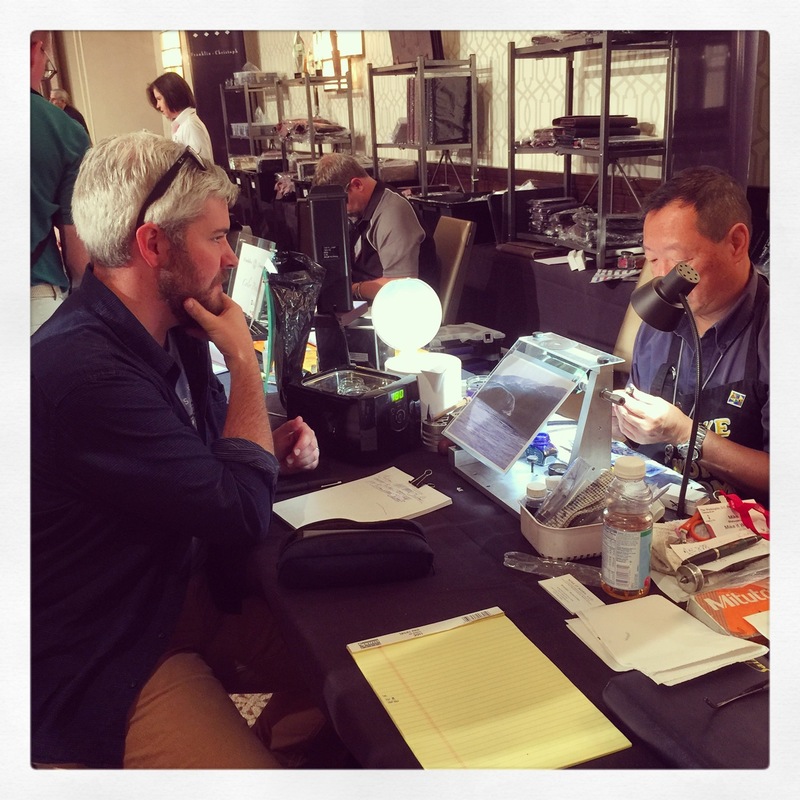 Though not attending the show as an official vendor, Jonathon set up a makeshift “shop” in the bar and settled in installing nibs and tuning pens amongst the conversation, laughter, and cocktails. 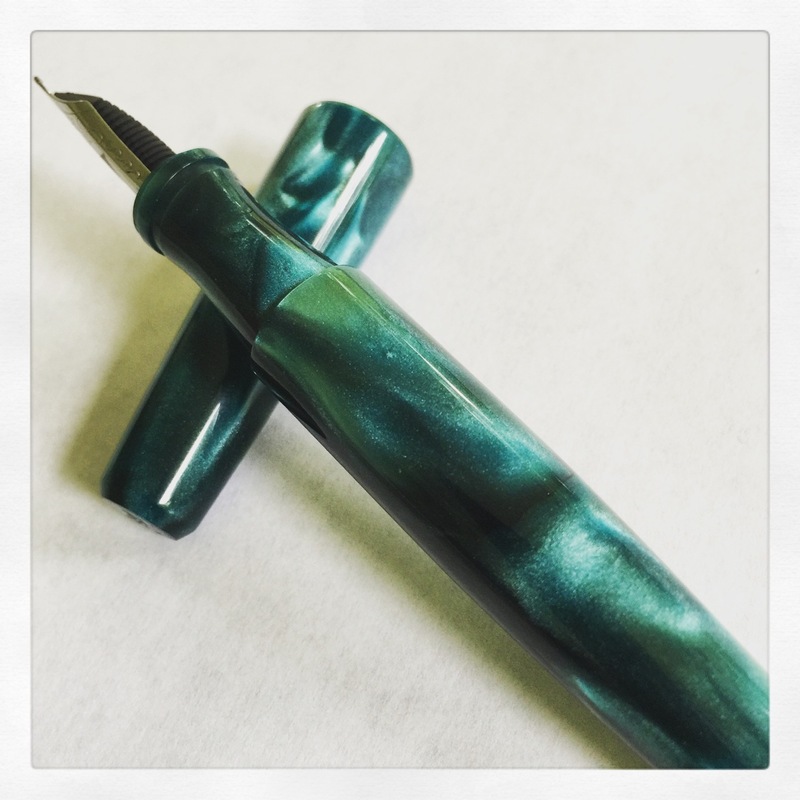 I latched onto one of his Charleston pens, made from his Combustion acrylic, and it was love at first sight. Yes, my pen purchase was made in a bar. 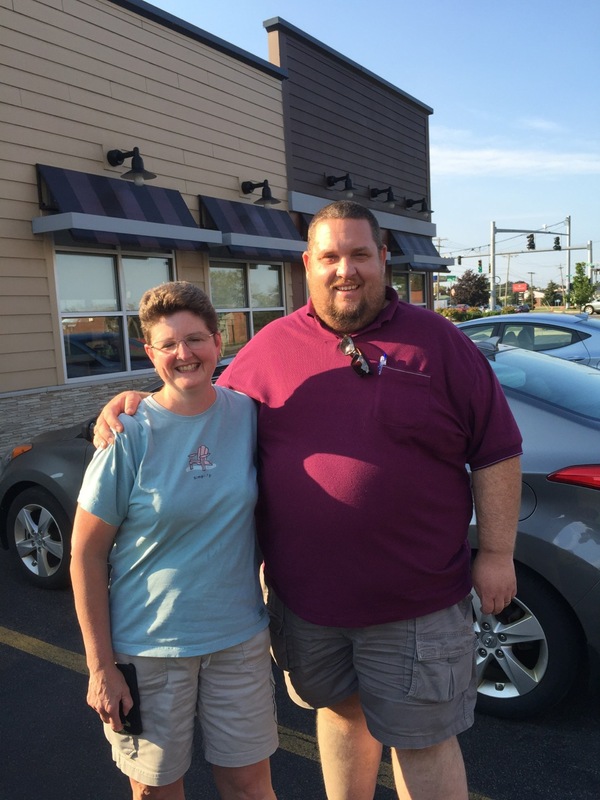 And THAT’S the fun of pen shows…serendipitous connections lead to some of the best times. You can’t plan this stuff, which is a great lesson for the obsessive list-making person that I am. Life can be really cool when you just let it happen. Thursday night was a blast. Even without a single drink, I made friends with friends of friends, met a number of folks who I knew through Twitter and Instagram, and talked and laughed until exhaustion struck once again. God, that felt good, especially for this social weirdo. Without exception, the pen people I met were (are!) kind, friendly, funny, and helpful. I’d found my tribe. As Friday morning dawned, a small and well-caffeinated clutch of us descended on the Franklin-Christoph tables to scope out the trays of prototype pens we’d gotten wind of the night before. Though the scene could’ve gotten ugly, like a bad Black Friday scenario, it actually played out like a well choreographed ballet, with patience and politeness as we all reached for our favorites. I came away with the Franklin-Christoph Pocket 66 in what I consider to be a stunning material (name unknown). I chose the Mike Masuyama medium stub nib, and had it ever so finely tuned by Scott Franklin. What a great experience with a company that clearly wants its customers to walk away completely happy. Friday is the perfect day for shopping. Vendors are fresh and ready, customers are plentiful but not out in overwhelming numbers. There’s plenty of time and space to chat with other shoppers and vendors. There’s great energy, and SO MANY PENS. As shoppers, we encouraged and enabled each other, compared purchases, conversed, took breaks, and browsed throughout the day. It was a great day spent with so many like-minded friends. Friday truly is the best day of the show. I knew I wanted to pick up a third pen, and circled both ballrooms and the lobby on my quest. Eventually, I noticed that I kept winding up back at the Franklin-Christoph display, my eyes always honing in on their Model 20 Marietta in the Red Tiger material. After repeating this loop a number of times, it became obvious that this was the pen my eyes and heart (and wallet) wanted. It has a very smooth medium nib, and Scott Franklin filled the converter with their Black Cherry ink so I was quickly good to go. Friday was an earlier night. After dinner out with my friend Tracy, and my new friends, Karen and Sam, we spent a little time in the bar where pens and ink and paper are sprawled out for all to enjoy. I started getting punchy and silly and decided it’d be best to get some rest. Once back in my room, I unwound by trying out the day’s purchases and fell asleep very content with my choices. On Saturday, the crowds arrive. And I do mean CROWDS. Lines snaked throughout the hotel lobby and looked depressingly long. Despite appearances, the line moved quicker than you’d think. (As the holder of the $45 Weekend Trader Pass, you can bypass all the lines, get in on Friday, and get in early on Saturday and Sunday. It really is worth the money, if you’re in town for the whole show.) Because I wasn’t really planning on picking up much else, I milled around for the fun of it until the crush of people became too much. The women from Bungbox were doing a brisk business in ink, pens, and cute paper products. I was pleased to snag the very last bottle of a particular Bungbox color that a pen pal had requested. I also picked up a couple of Franklin-Christoph inks and two Waterman converters before I decided to call it quits shopping-wise. Johnny Gamber and Tim Wasem from The Erasable Podcast made it to the show by lunchtime, and Tim was able to immediately get some nib work done by Mike Masuyama, thanks to a bit of teamwork by his friend, Joe Lebo. (If you want some nib work done, but can’t get to show early, have a friend who’s already there get you onto the list of a nibmeister, like Joe did for Tim.) After that, Joe, Tim, Johnny, Cody Williams, and I grabbed lunch at a nearby restaurant where we could sit outside and yak. That’s another cool thing…plans are very fluid. There’s always someone to hang out with and someone to eat with. And remember, I’m a social midget, but had no problem finding folks who were willing to let me hang out with them. Saturday night was another “bar night” and I have to wonder what the hotel staff think about this invasion of pen people. It really is an amazing sight to see so much passion and enthusiasm and love shared among so many people—people from all over the country and the world, people who hadn’t met in real life until a few days ago but are now fast friends. There’s beer and cocktails, pens and paper and ink, laughter and heartfelt conversations. This is a very unique community. I did a lousy job of capturing the nighttime gatherings in pictures. I guess I didn’t want to break what felt, to me, like a magical spell. I did my best to stay in the moment, and what great moments there were. 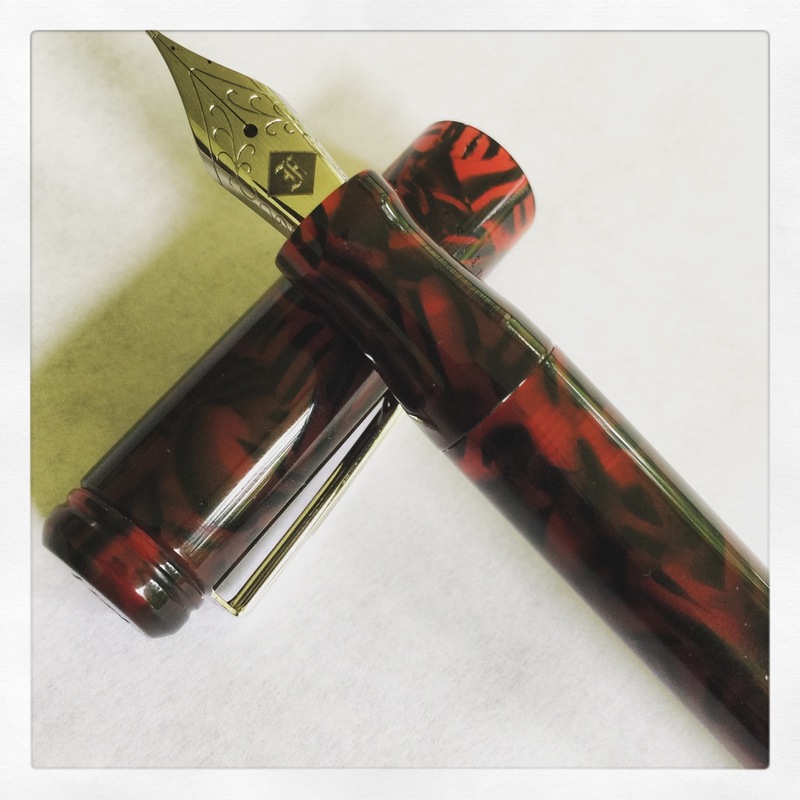 I was finally able to thank Brad in person for the amazing gift of my Nakaya. I shared stories and hugs, all while trying the pens being passed around. I’m not normally a crier (unless a dog dies in a movie), but as I said goodbye at the end of the night, I surprised myself by getting choked up. Once you find your people, it’s hard to let them go. Sunday meant getting ready for the long trip home. My suitcase was packed a little tighter than when I arrived, but what was really overflowing was my heart. The pens are great, but pen people? It’s not hyperbole to say that they’re the best. Thanks to everyone who said hi, let me share a meal with them, passed along unexpected little gifts, enabled pen purchases, and made me laugh. I had a blast, and sure do hope to get back next year. 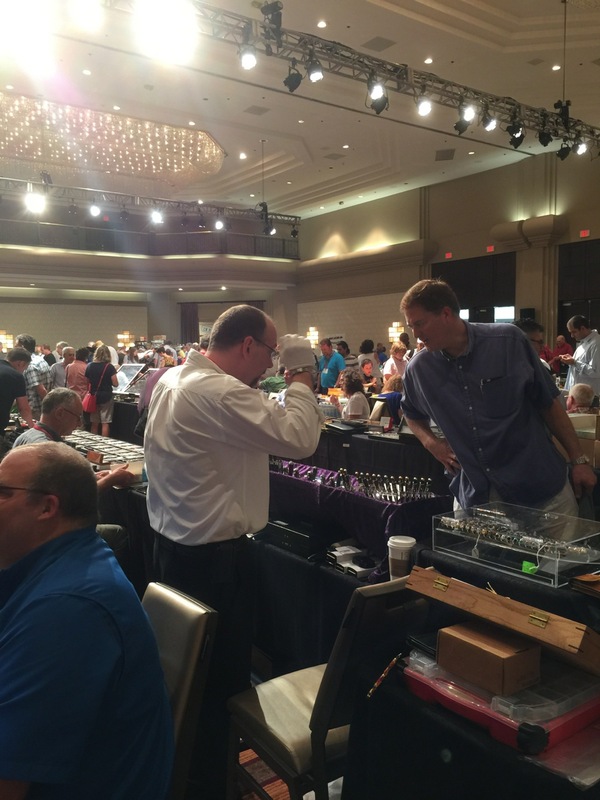 If you’re on Instagram, check out #dcpenshow for LOADS of photos, including the nightly meet ups. D.C. 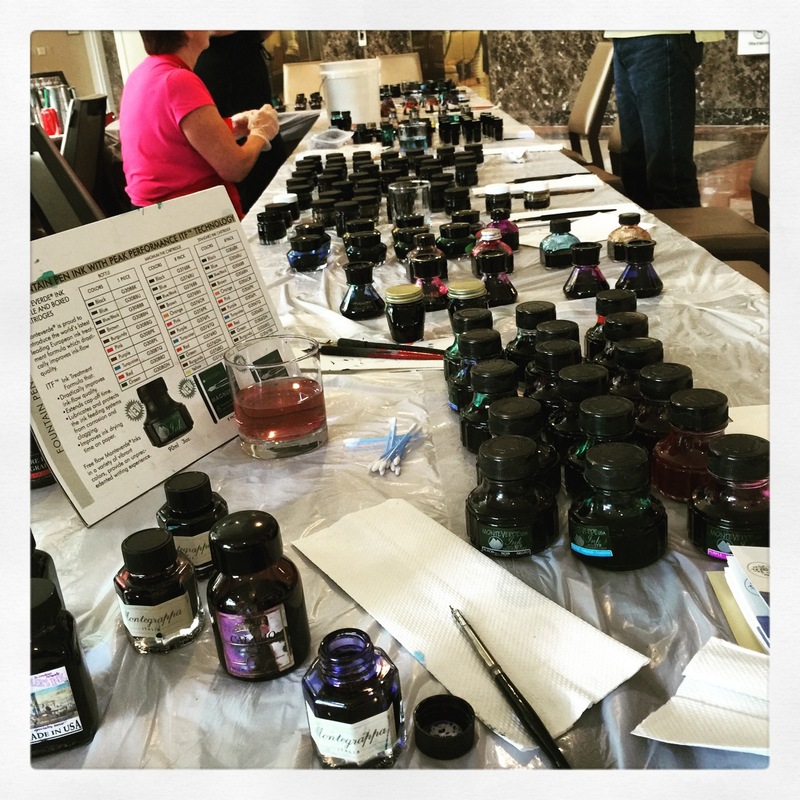 Pen Show Insanity: The Saturday and Sunday Recap!